It becomes hepatitis even in people do not drink alcohol. 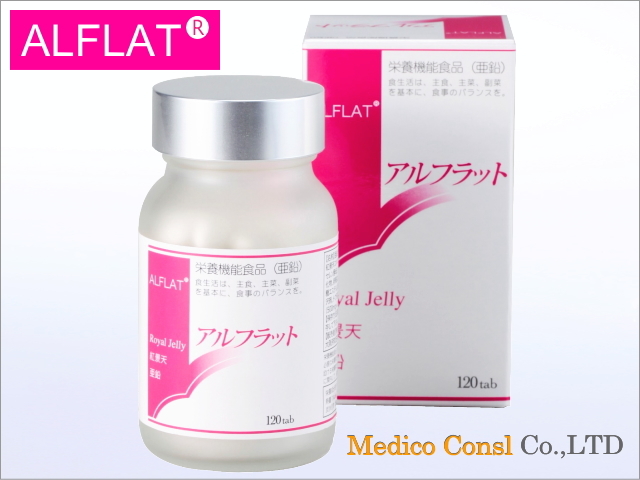 It is one of the causes of liver cancer. It offeten progresses to NASH from diabetes. 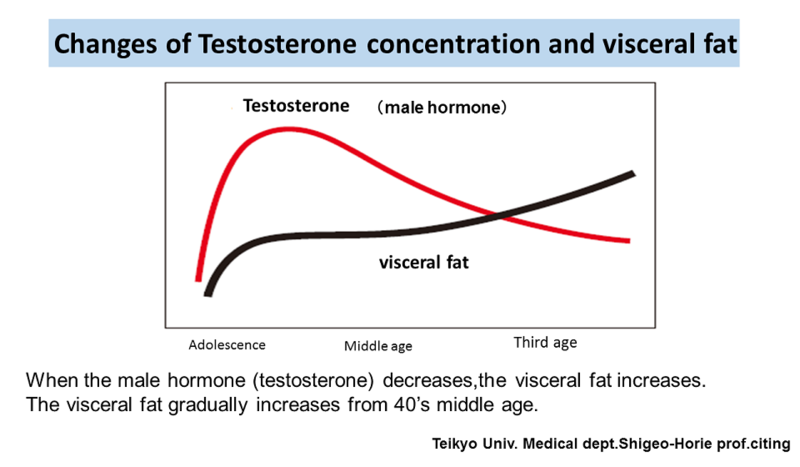 The visceral fat will increase along with the aging. 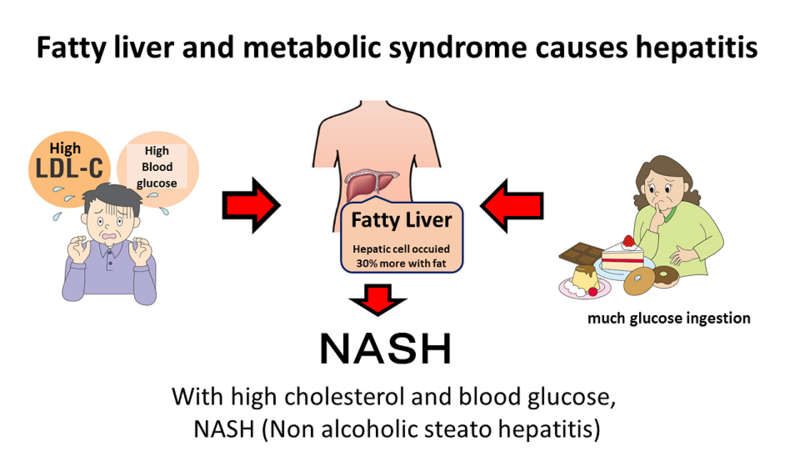 When it becomes to middle-aged and elderly, the visceral fat increases and becomes the risk of NASH and diabetes higher. 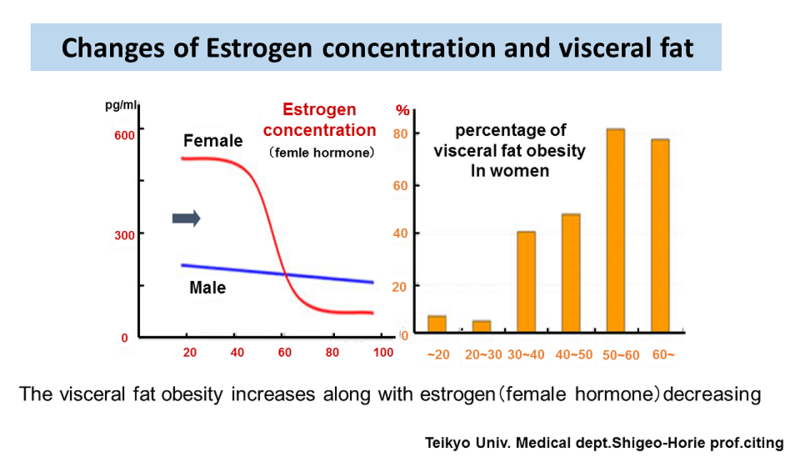 The visceral fat increases when female hormone decreases in middle-age passed. 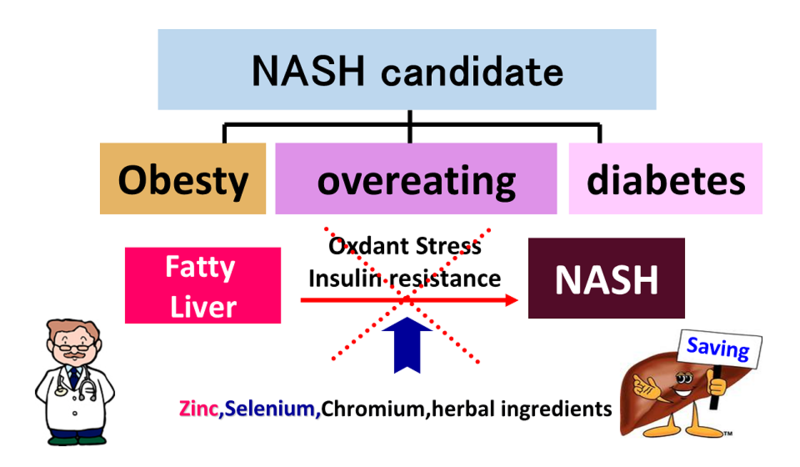 It becomes the risk of NASH and diabetes higher. It has been reported recently NASH is increasing rapidly in women. 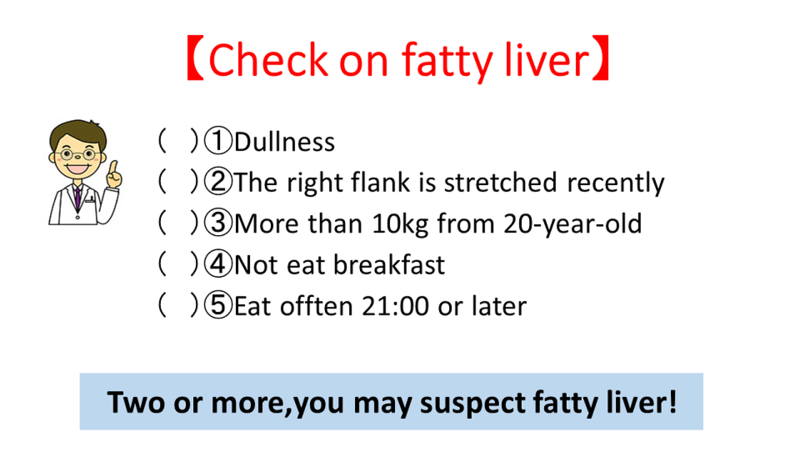 Let’s try self check on fatty liver!